Ten Minutes Past Deadline is five! 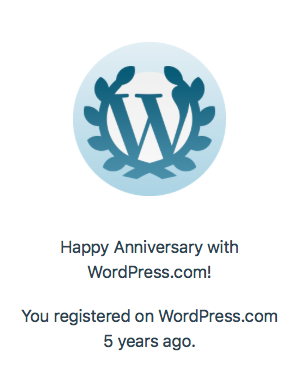 I’d like to say “five today”, but in fact it was five last Friday: the first post on this site went up on 30 March 2013. Although many subjects have attracted its attention, including baseball, cartoons and the rise of IMDb’s formidable robot copydesk, this blog has all too frequently returned to the subject that first inspired it: prescriptivism and formal English. The first post that ever appeared here arose from years of reading two inspiring blogs – You Don’t Say and HeadsUp – and, through them, becoming increasingly engaged with editing’s big issues: ethics, grammar, ambiguity, statistics, and, above all, language change. Written in response to a debate on how forward-thinking one should be when editing someone else’s writing, that post was motivated by a slightly defensive sense that although formal English was indefensible, it was somehow important too: and that, even though the case against prescriptivist crotchets was unanswerable, deadline was not the right moment to get into an argument with a writer over notional agreement. There is no academic justification for the ban on split infinitives, or the stricture that forbids qualifying a sentence with “hopefully”, or the objection to ending a sentence with a preposition, or for many of the other rules taught or followed as being “good English”. And yet, taken together, those rules have come to create a recognisable register: a tone, a rhetoric, a voice. However baseless its antecedents, when formal English is spoken, everyone recognises it for what it is: the language in which power speaks and expects to be addressed. In Modern English Usage, Fowler suggested dozens of improvements to written English, some of which caught on: some, but not all. In the 1930s, a BBC committee invented dozens of words to describe new phenomena in modern life, some of which caught on: some, but not all. Proposing, it appears, is not enough: every piece of language change, from the accidental to the intentional, has to pass the test of usage. Some of Fowler’s ideas were terrible, but some – such as his forgotten proposals for punctuating parentheses – were just as useful as his “which/that” distinction, which has become a staple of legal English. Similarly, the BBC committee failed in its primary task of inventing a new word for one who watches television (the corporation rejected “auralooker” and went for “viewer”), but it did successfully popularise the term “roundabout” for the road junction. The unpredictability of these successes and failures suggests that prescription, just like natural language change, is subject to the mysterious processes of acceptance by which English is ultimately formed. That means many prescriptivist initiatives are doomed to failure: but it does suggest that the ones that have survived to create what we now call “formal English” have passed the stern test of public approval.